LW2181 - Lopez Gold Discovery in New York Newspaper, 10-1-1842. Abel Stearns Tells of Lopez 1842 Gold Discovery; No Mention of Dream in Santa Cruz Sentinel • 8-27-1885. U.S. Treasury Voucher for California (Placerita) Gold Deposit, 6-8-1843 in Overland Monthly • 5-1892.
Who Was the First Real Discoverer of Gold in This State? by Charles J. Prudhomme, 1922. Discovery of the First Gold in California by Fr. Zephyrin Engelhardt, O.F.M., 1927. Historian Questions Date of Lopez Gold Discovery by J.M. Guinn • Historical Society of So. Cal., 1895. Placerita Canyon: Much Treasure, Some History by Eleanor Quigley • L.A. Herald Illustrated Magazine, 2-9-1902. Francisco Lopez Discovers Gold, As Told by His Grandnephew (1853-1939) from Latta 1976. Dissecting the Dream: Fact, Fiction, and Placerita's Golden Oak by Dr. Alan Pollack | Heritage Junction Dispatch, Nov.-Dec. 2015. The Walker Family of Placerita Canyon (Comprehensive History) by Leigh Nicolai-Moon • Placerita Canyon Nature Center Associates, 2002. LW2955 - Historic Placerita Canyon Movie Ranch Locations. New Century Oil Co. in the News • News reports & ads, 1900. LW2256 - Placerita White Oil Seep. Multiple Views, 6-2-2012. RK0713 - Neighbor Plugs the Unique Placerita White Oil Seep, 2 Views, 7-5-2013. RK1301 - New Footbridge & Signage at Canyon Trail Oil Seep, Placerita Park, 12-2013. GS0000 - George Starbuck's Walker Family Collection. 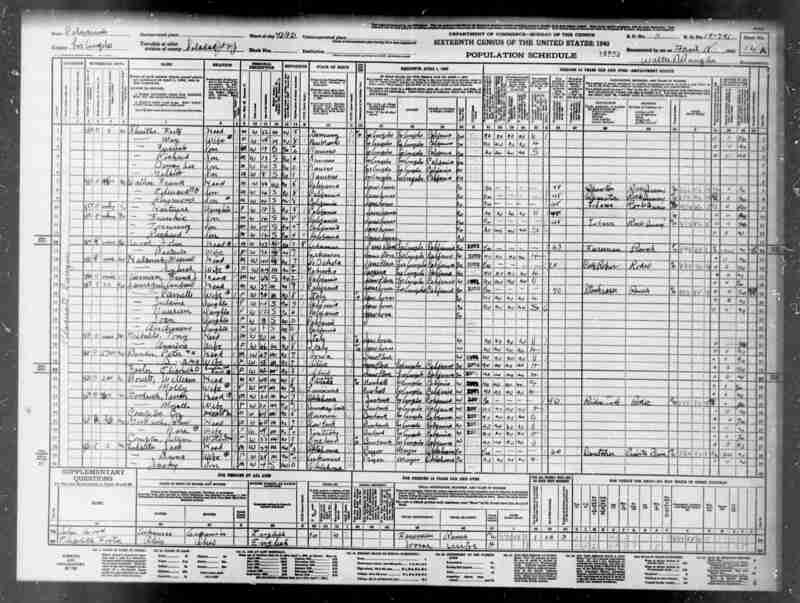 LW3341 - Joseph Reynier Land Patent, 5-12-1897. GS3001 - "Cap" Harmon's Gold Mining Sluice, 1890s-1900s. LW2203 - Generic Woodcut of a Gold Sluicing Operation. LW2257 - Placerita White Oil Gusher, 2 Views, 1900. GS2015 - Herman Mosher's oil well and boiler in Placerita Canyon, early 1900s. LW2551 - Error Postcard: Sutter's Fort (Sutter's Mill) as "First" Calif. Gold Discovery Site, 1905. AP1912 - Frances Phillips, SCV's First Car Owner, Driving in Placerita Canyon, 1910. GS0200 - Walker Homestead, ca. 1910s. ST1101 - White Oil Wells & Rails, 1911. LW2323 - Quigley Canyon? Corral in "The Last Roundup" (1929). AP9011 - Francisca Lopez de Belderrain's Affidavit Re: Gold Discovery Site, 2-23-1930. AP9010 - Frank Walker's Affidavit Re: Gold Discovery Site, 3-1-1930. LW2575 - Program & Correspondence from A. Rivera to Frank Walker Re: Oak of the Golden Dream Dedication, 1930 (& 1934). AP9012 - Adolfo G. Rivera's Speech at Oak of the Golden Dream Dedication, 3-9-1930. AP9014 - Sen. Reginaldo F. Del Valle's Speech at Oak of the Golden Dream Dedication, 3-9-1930. AP9013 - Judge A.B. Perkins' Speech at Oak of the Golden Dream Dedication, 3-9-1930. SW3005 - Dedication of Placerita Canyon Gold Discovery Site, 3-9-1930 (Panorama). AP1407 - Dedication of Placerita Canyon Gold Discovery Site, 3-9-1930. AP0510 - Oak of the Golden Dream Dedication: Plaque Bolted to Tree, 3-9-1930. AP0512 - Dedication of Gold Discovery Site: Lopez Plaque Before & After Theft, 3-9-1930. SW3001 - Oak of the Golden Dream Dedication | Van Nuys News Coverage, 4-25-1930. SGB03346 - Baptismal Data: Francisco Lopez (Gold Discoverer), 3-10-1802 (age 1 day). SGB03987 - Baptismal Data: Pedro Lopez (Francisco's Brother), 6-29-1805 (newborn). SGB03175 - Baptismal Data: Maria Antonia Felis (Francisco Lopez's Wife), 11-17-1800 (age 1 day). 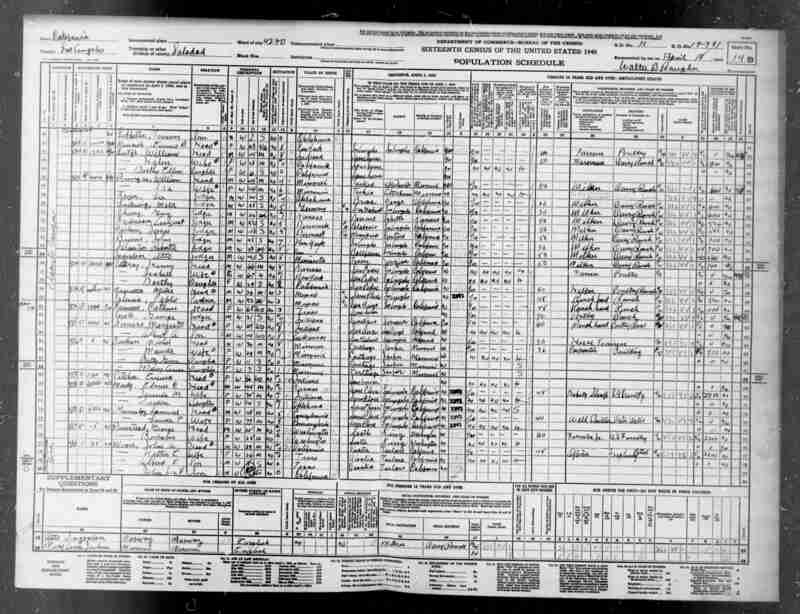 BPB00632 - Baptismal Data: Maria Concepcion Lopez (Francisco's Daughter), 2-6-1823 (newborn). SFRD01626 - Death Record Data: Maria Concepcion Lopez (Francisco's Daughter), d. 1-16-1825. SGB07294 - Baptismal Data: Francisco Ramon Lopez (Francisco's Son), 3-10-1825 (age 1 day). LAB00306 - Catalina Lopez (as Maria Catarina), Pedro's Daughter, LA-B00306, 11-16-1831 (newborn). US8504 - Francisca Lopez de Belderrain, Source of Golden Dream Site & Story; Lopez Genealogy. LW2219 - Film Set, Placerita Canyon, early 1930s. LW2865 - Lobby Card: Buck Jones in "One Man Law," Placerita Canyon (Walker Ranch), 1932. LW3016 - Panning for Gold, April 1934. GS3601 - Frank Walker's Buffalo, ca. 1936. LW2516 - Lobby Card: Buck Jones at Walker Cabin in "Black Aces" (Universal 1937). LW2045 - Brochure for Walker's Placerita Gold Panning Camp, pre-1938. DS3701-2 - Boeing 247 Crash on Mt. Piñetos, 1-12-1937. Laurel and Hardy Star in "Way Out West" (MGM 1937). Partially Placerita Canyon. Full Movie. AL1938 - William S. Hart and Andy Jauregui, Jauregui Ranch, Placerita Canyon, 1938. Jack Benny in "Buck Benny Rides Again" (Paramount 1940). Partially Placerita Canyon. Full Movie. LW3519 - Bob Steele, Buzz Barton in "Wild Horse Valley," Placerita Canyon 1940. Letter from Mesa Dobson to A.B. Perkins Re: Creation of Placerita State Park 1940s. Stolen Brass Plaque Replaced at Oak of Golden Dreams, 7-13-1941. LW3215 - John Carradine in "Voodoo Man" with Bela Lugosi, Placerita Canyon, 1944. LW2242 - Lobby Card, "Lawless Code," showing Walker Cabin, 1949. LW2352 - 1842/1948 Oak of the Golden Dream Medal (4 Varieties). LW3022 - Melody Ranch Fire: Oil Tank Burns in Placerita Canyon, 8-28-1962. LW3091 - "Old Barn in Placerita Canyon" by Walt Lee (1888-1980), Oil on Masonite, 1965. Lyons Ave. to Cross Train Tracks into Placerita Canyon — in 1965, 1971, 1984, etc. • News Reports, 1967-2010. AL1969 - Canadian Club Whiskey Advertisement in New Yorker Magazine, Jauregui Ranch, Placerita Canyon, 2-22-1969. RK7701 - Map: Sonny & Cher Bono's Placerita Canyon Property, ca. 1977. LW2155 - "The Dukes of Hazzard" Television Series in Placerita Canyon (2 Views), 1979-1985. GT9802 - Woman Rescued from Placerita Creek during El Nino Storm, 2-23-1998. EM1101 - Diner Set Constrution, Disney Golden Oak Ranch Business District Sets. 4 Views, 2011. RK052312 - Disney's Golden Oak Ranch Sets. Multiple Views, 5-23-2012 ff. LW2502 - Los Angeles Aqueduct in Placerita Canyon, 2 Views, 10-13-2013. Yant's Last Laugh: Mother Nature Turns Tables on Con Man in Placerita Canyon by Alan Pollack, Dispatch, March-April 2017. Oak Tree Smashes Foursquare Church • The Signal, February 2019. Dedication of Placerita Canyon State Park • News Reports, Event 5-26-1956. VIDEO: History of Placerita Canyon State Park & Nature Center with Ron Kraus • SCVTV 6-8-2014. VIDEO: Placerita Canyon Nature Center Tour with Philip Scorza & Jessica Nikolai • SCVTV 10-14-2013. 50-Year Operating Agreement, Placerita Canyon State Park - Approved by L.A. County Supervisors 3-20-2012. Video - Melba Walker Fisher Returns to Walker Cabin, 1-8-2011. Run-Up to Placerita Canyon State Park Formation, 1940s-1950s • News reports. Lloyd Earl's Golden Oak Ranch, Pre-Disney Purchase, 1940s-1950s • News reports. CC5901 - 4th Annual Placerita Park Pageant (2 Views), 5-17-1959. LW2217 - Oak of the Golden Dream, Color Postcard, ca. 1963. LW2409 - Martha Mitchell at Dedication of Placerita Canyon Nature Center, 11-10-1971. SG0904 - Oak of the Golden Dream (2 Views), 9-18-2004. LW2408 - 1971 Nature Study Center Plaque at Placerita Canyon State Park, 8-2013. PK1301 - Ceremonial Key to the Placerita Canyon Nature Center (from 11-10-1971), 2013. RK1401 - Installation of Exhibits, New Interpretive Center, Placerita Park, 12-2-2014.